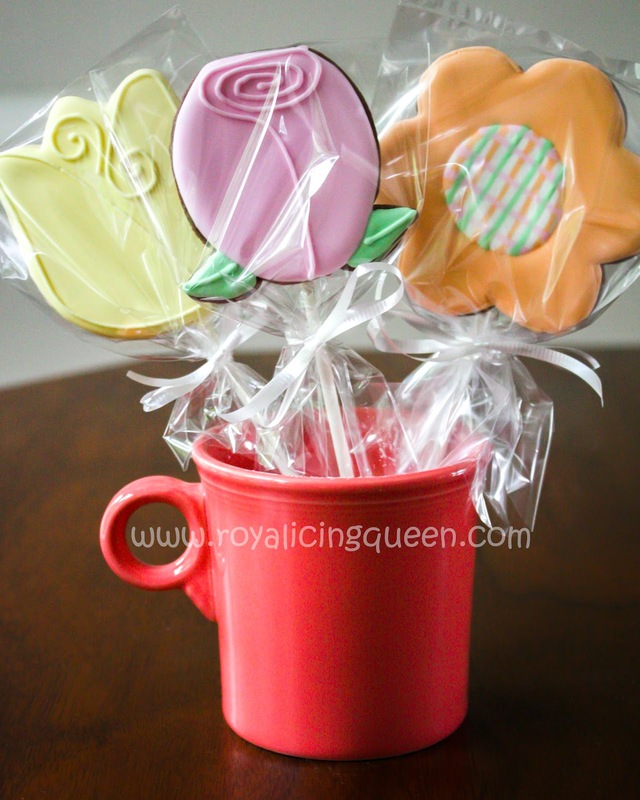 I followed Sweet Amb's cookie pop tutorial when making these. 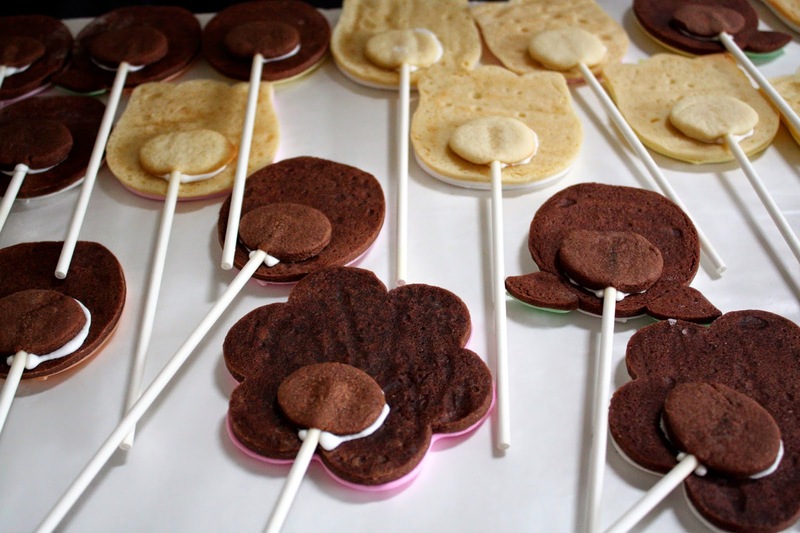 I baked flower shaped cookies and small oval-shaped cookies, baked with the lollipop sticks. 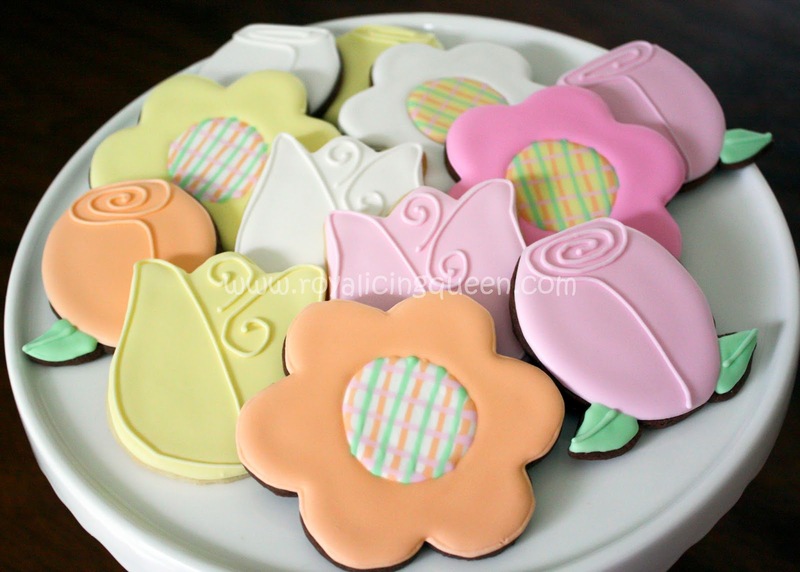 I decorated the flower cookies and waited for them to dry completely. Then I turned them over and adhered the lollipop stick/cookie to the back of the decorated cookie with medium-consistency royal icing. It only took an hour or so to dry, and then I finished them off with a clear cellophane bag and white ribbon.